Four different colorized variants of this theme are availiable too - "Full Color"-, two different "Black&White"- and a "Easy Colors"-Theme - each in english and german availiable - See below in "Other Versions..."
"EScribe Suite V 2.0 with Service Pack 15.1"
Here my very first Theme for the DNA75C/DNA250C (tested on Therion BF 75C, Rebel BF 75C and Boxer BF DNA250C) available in english and german language. It is a very comfortable, informative and comprehensive theme in black. 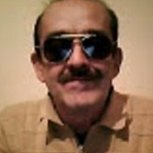 Developed for all who wan't to have knowledge about all parameters of the DNA. No playful pictures, only information and all parameters of the DNA chip can be called up and displayed. 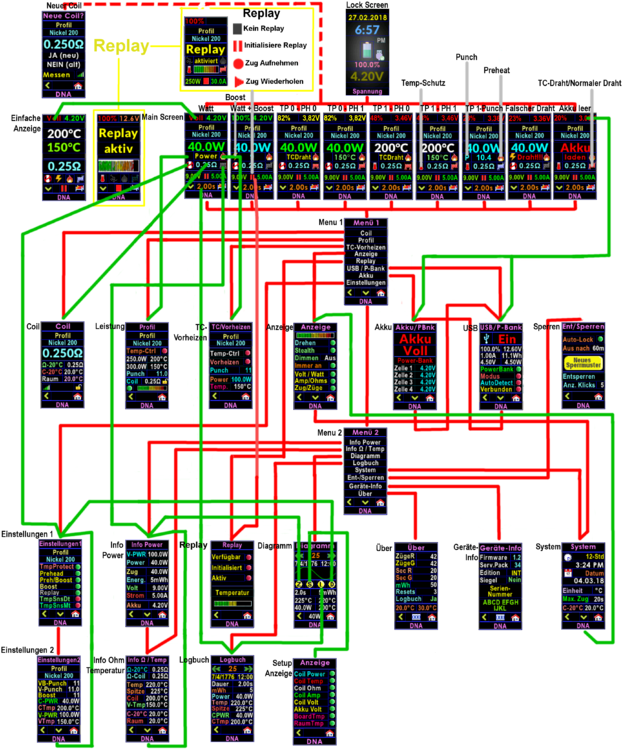 But these are arranged in a unique, easily understandable and intuitive way. This theme is easy for viewing display in dark and bright background and not just well suited for developers and those who want to have full control over all the settings of the DNA chip but for all usual users as well. (The error in the lock-screen what is shown here in the Overview doessn‘t exist in real theme - see pic below. Hoping everything works well - if you find some problems or malfunctions or having wishes or questions, please feel free to drop me a note here. I would appreciate your comments on the usability of this theme, what you think about this theme, your suggestions for improvement and your wishes for furter updates. For using the Theme "Mr. Theo Bottomfeeder >= V 1.8.0" and the new Replay-Mode, you need the following Firmware on your Device. Otherwise this Theme can not be installed. You can download Theme "Mr. Theo Bottomfeeder V.1.7.0" if you don't have a actual firmware on your device. Themes until V1.8.0 don't have a integrated Replay-Mode and works with older Firmwares. Voltage-state is displayed in different colors - depending on the battery level (green> = 66%, yellow> = 33% and <66%, red <33%). Bottom Center: "Replay"-Buttons (like on a Cassette-Recorder). When Replay is Playing, the words "Replay" and "active" are displayed in big yellow chars in both Mainscreens. Additional a graphic bar display for control Replay warmth is shown. Function of the lower right symbol in Mainscreen switches the lower right symbol in all screens (except Lockscreen and Mainscreens) either back to Mainscreen 1 or Mainscreen 2 ("Bad Eyes") depending on the selection of the switch "Mainscreen" in the screen "Display". Due to the limitation of the software, the Mainscreen 1 will always be displayed after unlocking the device, even if Mainscreen 2 ("Bad Eyes") is activated as Mainscreen. In this case, the Mainscreen 2 ("Bad Eyes") can be accessed again by simply clicking on the lower right icon. All other elements should be self-explanatory. 'Replay is intended to capture the flavor and satisfaction of the “perfect puff” and provide the same level of performance and consistency on all subsequent puffs. The use of Nickel, Stainless, Titanium, or other material that increases in resistance when heated is required. In addition, Replay will also prevent dry hits when used with wattage control. The Replay-Mode is changeable seperately for each Profile. It can be activated directly in this theme, if choosing in the "Replay"-Page ("Menu 1" - "Replay"). Also the activation of the Replay-Mode can be done in the Profile-Settings in the EScribe-Program and uploading the changed Profile-Settings onto your device then. If the Replay-Mode is activated, the standard grey Replay-Symbol on both Main-Pages of this theme is changing into a "Halt"-Symbol (two red standing bars - similar the "Halt"-Button on a tape-machine). If the Replay-Mode is activated, you have to puff some times for initializing the Replay-Mode. As soon the Replay-Mode is prepared for recording a puff, the "Halt"-Symbol on Mainscreen changes into a red filled circle (like the "Record"-Button on a tape-machine). Now you can click the "Record"-Symbol after you had a puff that fully meets your expectations. As soon, as a puff is recorded, the Replay-Symbol changes into a red Triangle "Play"-Symbol (also like the "Play"-Button on a Tape-Machine). Additionally the word "Repeat" is displayed in big yellow chars on both Main-Screens of the Theme. That shows, the previous recorded puff will be repeated endless now. For ending the Replay-loop, just click onto the red "Play"-Symbol. The yellow "Replay"-Name dissappears from the Main-Screens and the Replay-Symbol changes back into the red filled Circle "Record"-Symbol. The Device went back into normal using-mode now. By clicking the "Record"-Symbol again, the last puff will be saved and the Replay-Mode changes into the Play-Mode. Don't activate the checkbox "Puff saved, playing" in the Profile-Settings of your EScribe-Program. Just activate the checkboxes "Use replay on this profile". If activating the checkboxes "Puff saved, playing" at this point, the Replay mode would be activated - but without a recorded favourite puff, what could cause malfunctions. 1.8.4 Voltage fields repaired - will be displayed correct now, if >10V. 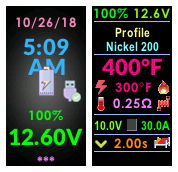 1.9.2 Bugfix for show "Playing"
1.9.9 Screen "Coil-Power" replaced by screen "Profile"
2.1.0 Bugfix: Bar-Display for Battery level repaired on screen "Bad Eyes", Improvement: Screen "Menu 1" improved, Addition: Function of bottom right icon in Mainscreen is now switchable between "Lockscreen" and Screen "Mainscreen 1" or "Mainscreen 2" (Screen "Bad Eyes") by de-/activating button "Off in Main" in Screen "Display" . 2.1.2 Improvement: Fixed selection of the Mainscreen (Mainscreen 1 or Mainscreen 2 "Bad Eyes") is possible now. Depending on the selection of the "Mainscreen" button in the "Display" screen, the lower right icon in all screens now switches back to either Mainscreen 1 or Mainscreen 2 ("Bad Eyes"). Due to the limitation of the software, the Mainscreen 1 will always be displayed after unlocking the device, even if Mainscreen 2 ("Bad Eyes") is activated as mainscreen. In this case, the Mainscreen 2 ("Bad Eyes") can be accessed again by simply clicking on the lower right icon. 2.1.3 Bug fix: In screen "Lock/Unlock" now the setting for "Auto-Lock" delay time works correct, small further errors eliminated. Improvement: Screen "New Coil" optimized, in Screen "Display" the text boxes now show the state of the switch-settings, in both Mainscreens the graphic bar display for Replay-Heat embellished. -> And now the moment seems to has come where I can't find other possible improvements for this theme anymore (and the memory of the DNA is almost full with this theme-version - 99.2%) - but I am now thinking about developing a new theme with less information and more artistic elements. Vier verschieden kolorierte Varianten dieses Themes sind hier verfügbar - "Full Color"-, zwei verschiedene "Black & White"- und ein "Easy Colors"-Themen - jeweils in Englisch und Deutsch verfügbar - siehe unten in "Verfügbare Versionen"
"EScribe Suite V 2.0 mit Service Pack 15.1"
Hier mein erstes Theme für die DNA 75C/DNA250C (getestet mit Therion BF 75C, Rebel BF 75C und Boxer BF DNA250C) in englischer und deutscher Sprache. Es ist ein sehr komfortables, informatives und umfassendes Theme in Schwarz. Entwickelt für alle, die über sämtliche Parameter der DNA Bescheid wissen wollen. Keine verspielten Bildchen, nur Informationen und sämtliche Parameter des DNA-Chips abrufbar und angezeigt. Aber diese dafür in einzigartiger Weise leicht verständlich und intuitiv bedienbar arrangiert. Dieses Theme ist in dunkler und heller Umgebung leicht abzulesen und nicht nur gut geeignet für Entwickler und diejenigen, die die volle Kontrolle über alle Einstellungen des DNA-Chips haben wollen, sondern auch für alle normalen Benutzer. (Der Fehler im Lock-Screen, welcher hier in der Übersicht angezeigt wird, existiert es im realen Theme nicht - siehe Bild unten. Ich hoffe, dass alles gut funktioniert - wenn Ihr Probleme oder Fehlfunktionen feststellt oder Wünsche oder Fragen habt, können Ihr mir gerne eine Nachricht hinterlassen. Über Eure Kommentare zur Brauchbarkeit dieses Themes würde mich mich sehr freuen, auch über Eure Meinung zu diesem Theme, über Verbesserungsvorschläge und Eure Wünsche für künftige Updates. Zur Verwendung des Themes "Mr. Theo Bottomfeeder> = V 1.8.0" und des neuen Replay-Modus benötigt Ihr folgende Firmware auf Eurem Gerät. Ansonsten kann dieses Theme nicht installiert werden. Benötigte Firmware auf dem Gerät: "1.1 SP 33.2 INT" oder höhere Version. Ihr könnt das Theme "Mr. Theo Bottomfeeder V.1.7.0" herunterladen, wenn Ihr keine aktuelle Firmware auf Eurem Gerät habt. Themes vor V1.8.0 haben keinen integrierten Replay-Modus und arbeiten daher auch mit älterer Firmware. Unten Mitte: "Replay" -Buttons (wie bei einem Kassetten-Recorder). Während der Wiedergabe werden die Wörter "Replay" und "aktiviert" in großen gelben Zeichen auf beiden Mainscreens angezeigt. Zusätzlich wird eine Balken-Anzeige für die Einstellung der Replay-Wärme eingeblendet. Funktion des unteres rechtes Symbols in Mainscreen schaltet abhängig von der Auswahl des Schalters "Mainscreen" im Screen "Anzeige" das untere rechte Symbol in allen Screens (ausser Lockscreen und Mainscreens) entweder zurück auf Mainscreen 1 oder Mainscreen 2("Bad Eyes"). Bedingt durch die Limitation der Software wird nach dem Unlock des Gerätes immer das Mainscreen 1 angezeigt, auch wenn Mainscreen 2 ("Bad Eyes") als Mainscreen aktiviert ist. In diesem Fall kann das Mainscreen 2 ("Bad Eyes") durch einfaches Anklicken des unteren rechten Symbols wieder aufgerufen werden. Alle anderen Elemente sollten selbsterklärend sein. "Replay soll den Geschmack und die Zufriedenheit des 'perfekten Puffs' erfassen und bei allen folgenden Zügen die gleiche Leistung und Konsistenz bieten. Die Verwendung von Nickel, Edelstahl, Titan oder einem anderen Material, das den Widerstand beim Erhitzen erhöht, ist erforderlich. Darüber hinaus verhindert Replay bei Verwendung der Wattzahlkontrolle auch das Auftreten von Trockenschlägen (Dry-Hits). Um Replay zu verwenden, stellen Sie das Gerät auf die gewünschte Leistungsstufe ein und betreiben Sie es normal. Sobald ein zufriedenstellender Zug erreicht ist, aktivieren Sie die Funktion zum Speichern und Wiedergeben des gespeicherten Zuges jedes Mal, wenn die Feuertaste betätigt wird. Die Länge des Puffs ist kein Faktor und der Benutzer ist nicht auf die Länge des vorhergehenden Puffs beschränkt. Deaktivieren Sie Replay, um den normalen Betrieb fortzusetzen oder einen neuen Puff zum Speichern zu finden. Wenn Replay nicht aktiviert werden kann, ist die Coil nicht kompatibel." Der Replay-Modus ist für jedes Profil einzeln änderbar. Es kann direkt in diesem Theme aktiviert werden, wenn diese Funktion in der "Replay"-Screen ("Menu 1" - "Replay") aktiviert wird. Auch kann die Aktivierung des Replay-Modus in den Profil-Einstellungen im EScribe-Programm erfolgen und dann die geänderten Profil-Einstellungen auf das Gerät hochgeladen werden. Wenn der Replay-Modus aktiviert ist, wechselt das graue Standard-Replay-Symbol auf beiden Main-Pages dieses Themes in ein "Stop" -Symbol (zwei rote stehende Balken - ähnlich dem "Pause" -Button auf einem Cassetten-Recorder) . Wenn der Replay-Modus aktiviert ist, müssen Sie einige Male dampfen, um den Replay-Modus zu initialisieren. Sobald der Replay-Modus für die Aufnahme eines Zugs vorbereitet ist, wechselt das "Pause"-Symbol auf dem Mainscreen in einen roten gefüllten Kreis (wie der "Aufnahme" -Button auf einem Cassetten-Recorder). Jetzt können Sie das "Aufnahme" -Symbol Anklicken, nachdem Sie einen Zug hatten, der Ihre Erwartungen voll erfüllt. Sobald ein Zug aufgezeichnet wird, verwandelt sich das Replay-Symbol in ein rotes Dreieck "Play" -Symbol (auch wie der "Play" -Button auf einem Cassetten-Recorder). Zusätzlich werden die Worte "Replay" und "aktiviert" in großen gelben Zeichen auf beiden Mainscreens des Themes angezeigt. Das zeigt an, dass der vorher aufgezeichnete Zug nun endlos wiederholt wird. Um den Replay-Loop zu beenden, klicken Sie einfach erneut auf das rote "Play" -Symbol. Der gelbe "Replay"-Name verschwindet von den Mainscreens und das Replay-Symbol wechselt zurück in den rot gefüllten Kreis "Aufnahme"-Symbol. Das Gerät ist jetzt wieder in den normalen Benutzungsmodus zurückgekehrt. Durch erneutes Anklicken des "Aufnahme"-Symbols wird der letzte Zug gespeichert und der Replay-Modus wechselt in den Play-Modus. Aktivieren Sie in den Profil-Einstellungen Ihres EScribe-Programms nicht die Checkbox "Puff saved, playing". Aktivieren Sie einfach die Kontrollkästchen "Use replay on this profile". Wenn Sie an dieser Stelle die Checkboxen "Puff saved, playing" aktivieren, wird der Replay-Modus aktiviert - allerdings ohne einen aufgezeichneten Lieblings-Puff, was zu Fehlfunktionen führen kann. 1.8.4 Spannungsfelder repariert - wird jetzt korrekt angezeigt, wenn > 10V. 1.9.2 Bugfix für die Anzeige "Playing"
1.9.9 Screen "Coil-Power" ersetzt durch Screen "Profil"
2.0.9 Kleinere Bugfixes: "Akku voll" erscheint nicht direkt mehr nach dem Verbinden mit USB-Kabel - Verbesserungen: Diese Anleitung, Struktur einiger Screens, Akkusymbol in Lockscreen zeigt jetzt farbig den Ladelevel an - Erweiterung: Die Anzeige von Profil und Modus in "Mainscreen 1" kann nun durch die Aktivierung der zwei neuen Buttons "In Main" im Screen "System" in die Anzeige von Datum und Uhrzeit oder grosse Uhrzeit umgeschaltet werden - Linker Button = Umschalten Profil/Modus (rot) oder Zeitanzeige (grün), rechter Button = Bei aktivierter Zeitanzeige Umschalten Datum und Zeit (blau) oder grosse Uhrzeit (gelb). 2.1.0 Bugfix: Balken-Anzeige für Akku-Level im Screen "Bad Eyes" repariert, Verbesserung: Screen "Menu 1", Zusatz: Funktion des unteres rechtes Symbols in Mainscreen ist jetzt umschaltbar zwischen "Lockscreen" und "Mainscreen 1" bzw. "Mainscreen 2"(Screen "Bad Eyes") durch De-/Aktivieren der Schaltfläche "Aus in Main" im Screen "Anzeige". 2.1.2 Verbesserung: Feste Auswahl des Mainscreens möglich (Mainscreen 1 oder Mainscreen 2 "Bad Eyes") ist jetzt möglich. Abhängig von der Auswahl des Schalters "Mainscreen" im Screen "Anzeige" schaltet nun das unter rechte Symbol in allen Screens entweder zurück auf Mainscreen 1 oder Mainscreen 2("Bad Eyes"). Bedingt durch die Limitation der Software wird nach dem Unlock des Gerätes immer das Mainscreen 1 angezeigt, auch wenn Mainscreen 2 ("Bad Eyes") als Mainscreen aktiviert ist. In diesem Fall kann aber das Mainscreen 2 ("Bad Eyes") durch einfaches Anklicken des unteren rechten Symbols wieder aufgerufen werden. 2.1.3 Fehlerbeseitigung: In Screen "Ent-/Sperren" funktioniert nun die Einstellmöglichkeit für "Auto-Lock" Verzögerungszeit, kleine weitere Fehler beseitigt. Verbesserung: Screen "Neuer Coil" optimiert, in Screen "Anzeige" zeigen die Textfelder nun den Status der dortigen Schalter-Stellungen an, in beiden Mainscreens die graphische Balken-Anzeige für Replay-Wärme verschönert. -> Und nun scheint der Augenblick gekommen zu sein, an dem mir keine weitere mögliche Verbesserungen für dieses Theme einfallen (und der Speicher des DNA ist mit dieser Theme-Version nahezu erschöpft - 99.2%) - aber ich überlege nun, ein neues Theme mit weniger Informationen und mehr künstlerischen Elementen zu entwickeln. Example for Lockscreen, Mainscreen1 and Mainscreen2 "Bad Eyes"
Beispiel für Lockscreen, Mainscreen1 und Mainscreen2 "Bad Eyes"
-> And now the moment seems to has come where I can't find other possible improvements for this theme anymore - but I am now thinking about developing a new theme with less information and more artistic elements. -> Und nun scheint der Augenblick gekommen zu sein, an dem mir keine weitere mögliche Verbesserungen für dieses Theme einfallen - aber ich überlege nun, ein neues Theme mit weniger Informationen und mehr künstlerischen Elementen zu entwickeln. schönes Theme. Besteht die Chance auf ein weniger "buntes" Theme. Meinst Du eines in komplett schwarz/weiss? Kann ich Dir gerne machen. Ich denke, jetzt ist das Theme ziemlich ausgereift und es wird ohnehin wohl nicht mehr viele Updates geben. Vielleicht noch eines mit letzten Bugfixes und dann sollte es passen. Edit: Schwarz/Weiss auf allen Seiten oder alle Seiten und nur die beiden Mainscreens und den Lockscreen in Farbe belassen? P.S. Hast Du es so gewollt, wie ich es jetzt als zusätzliche deutsche Versionen 2.0.3 hochgeladen habe? Also die Version 2.03 German hab ich gerade installiert, ist aber leider genauso Bunt wie vorher auch. (Kann es an der Para 250C liegen? Sollte ja eigentl. kompatibel sein. Wenn es möglich ist, würde ich mir ein Theme in Schwarz / grau / weiß wünschen. Falls es zu viel Aufwand für dich bedeutet, kann ich mal versuchen es mit deinem Theme nachzubauen und es dir zur Verfügung stellen? "Was gibt es neues in der Version 2.0.3"
Dort habe ich die zusätzlichen Varianten verlinkt. P.S. Kannst Du mir bitte einen Link zu dem Theme von Elvui posten? das scheint mir doch recht speziell zu sein und ich kann mir nicht so recht vorstellen, was Dir da genau vorschwebt. Aber da vermutlich alle Themes hier ohnehin der der "General Public Lizenz">=3 unterliegen, kannst Du natürlich gerne mein Theme als Grundgerüst für Dein eigenes verwenden und dieses dann selbst publizieren, solange Du mich als ursprünglichen Entwickler benennst und Dein Theme ebenfalls unter der GNU-Lizenz kostenfrei anbietest. Hello friends, I'm a new user of DNA 75.. I bought an HCIGAR VT75D mod and I want to apply these theme but I don't know if is compatible with my 75D.. On the thread is written 75C... So, can I apply it on 75D? Thank you. I don't know german language, but I'm trying with google translate... sorry for this. Hallo Freunde, Ich bin ein neuer Benutzer von DNA 75 .. Ich kaufte eine HCIGAR VT75D Mod und ich möchte dieses Thema anwenden, aber ich weiß nicht, ob es mit meiner 75D kompatibel ist .. Auf dem Thread ist 75C geschrieben ... Also, kann ich es auf 75D anwenden? Vielen Dank. No problem, if you write in english language. Your "HCigar VT75D" has a standard DNA75C-Chip built in. The "VT75D" is just the model-name of your HCigar Mod. So each theme for DNA75C runs on this Mod. If you have more questions, feel free to drop me a message again. Thanks alot Mr.Bottomfeeder, I'm glad heard this! I'm looking in escribe options, maybe I'll understand it on my own. If not, I'll be back here! The EScribe-Program and the Theme-Designer were easy to understand for me, cause I am a programer. But I think normal users shouldn't get problems with also. As I told, if you have questions, just write here. Important: I would suggest, before doing changes, backup (save) the origin EScribe-, Profile-, Wire- and other settings as well as the origin Theme from your HCigar onto your PC. Ok, thank you very much Mr.Bottomfeeder! bei meiner finder 250c wird die Spannungsanzeige (Volt) nicht richtig angezeigt. wird nur halb angezeigt. Somit ist die Anzeige nur schwer ablesbar. Vielleicht kann man das ja ändern. Ich habe die Finder mit 3 Akkus und es betraf die Anzeige rechts oben. Nun wird die Volt-Anzeige richtig angezeigt. freut mich zu hören, dass die Anzeige nun funktioniert. Habe selbst keinen Mod, der >=10V kann. Daher habe ich das Problem nicht erkannt. I'm glad to hear the display is working now on your device. I have no mod, that works with > = 10V . Therefore, I did not recognize the problem before. ich finde das Theme total super, allerdings hab ich gerade ein Ticket aufgemacht, weil ich einen Hardware Fehler vermutet habe. Ich nutze eine Paranormal 250C sowie eine Triade 250C mit diesem tollen Thrme hier in der Version 2.1.3. wenn ich das Gerät längere Zeit nicht nutze hab ich immer eine nervige Meldung auf dem Display. Diese Meldung taucht ständig auf. Habe SP33_2 und SP35 versucht. Bei SP35 kommt die Meldung, bei SP33_2 bleibt der Screen schwarz und ich muss die Batterien rausnehmen um wieder dampfen zu können. Der Support hat mich jetzt gefragt, ob ich default oder custom theme benutze. Gibt es Erfahrungen zu dem beschriebenen Fehler? Hat das jemand auch? @Dennis read this posting by James. SP38 available. dieser Fehler ist mir bekannt und scheint leider wirklich von meinem Theme in Verbindung mit den eingeschränkten Möglichkeiten des Theme-Builders herzurühren. Grund ist folgender: Im Theme-Builder sind die Aufrufe anderer Screens(vereinfacht erklärt mit alten Basic-Befehlen) mit "Goto" und "Gosub" möglich. - Bei "Goto" (open Screen) speichert der Chip nicht, von welchem Screen aus der Folgescreen aufgerufen wurde. Ein Zurückblättern ist nicht möglich, sondern man muss durch einen neuen "Goto" die gewünschte andere oder vorherige Seite aufrufen. - Bei "Gosub" (open Childscreen) speichert der Chip die Screens, welche einen Folgescreen aufgerufen in einem sog. "Stack"(Stapel). Durch "Zurück"(Return) ist das Zurückblättern möglich, was es ermöglicht, auch in verschachtelten Screens, bis auf das Mainscreen zurückzublättern. Oder eben auch, wenn ein Screen von verschiedenen Quellen aus aufgerufen wird, situationsabhängig immer mit "Zurück" zu dem Screen zurückzukehren, von welchem aus dieser aufgerufen wurde. Da in meinem Theme die verschiedenen Screens aber nicht nur vom Menu, sondern eben auch von verschiedenen anderen Screens aus aufrufen werden können, ist eben diese Steuerung nicht immer fehlerfrei möglich, wenn der Gosub-Stack nicht bei einem folgenden "Goto" geleert wird, wie es bei den alten Basic-Dialekten der Fall war und es dabei dann zu einem Stack-Fehler oder einem Stack-Overflow kommt. Und eben dieses vermute ich in der Programmierung des DNA-Chips. Wenn man also bei der Benutzung des Screens öfters zwischen den Screens hin und her springt, läuft irgendwann der Gosub-Stack über und die "Error - Press Up"-Meldung erscheint. Ich bin gerade dabei, die Screen-Aufrufe meines Themes zu überprüfen, ob ich nicht vielleicht ganz auf "Gosub" verzichten und nur mit "Goto" arbeiten kann, denn ich denke (bin mir aber nicht restlos sicher), dass die hier beschriebenen Funktionen für den Fehler verantwortlich sind. Denn nur damit ist das Problem dieses Fehlers zu eliminieren, solange die Programmierung des DNA nicht geändert wird. Eventuell muss ich dann aber auf ein paar Aufrufmöglichkeiten der Screens aus anderen Screens heraus verzichten. Ich hoffe, ich konnte dies einigermassen verständlich erklären. Bitte gib mir hierfür etwas Zeit, da dies einen etwas umfangreicheren Umbau und Tests der neuen Version meines Themes erfordert. This error is known to me and unfortunately seems to really derive from my theme in connection with the limited possibilities of the Theme Builder. The reason is as follows: In the Theme Builder, it is possible to call other screens (simplified with old basic commands) with "Goto" and "Gosub". - With "Goto" (open screen) the chip does not save, from which screen the following screen was called. It is not possible to scroll backwards, but you have to call up the desired other or previous page with a new "Goto". - In "Gosub" (open child screen), the chip stores the screens, which called a subsequent screen in a so-called "stack" (stack). "Back"(Return) allows scrolling back to the main screen, even in nested screens. Or even if a screen is called from various sources, depending on the situation, always return with "Back" to the screen from which it was called. Since in my theme the different screens can be called not only from the menu, but also from different other screens, just this control is not always possible error-free, if the Gosub stack is not emptied at a following "goto", such as it was the case with the old Basic dialects. This occures a stack error or a stack overflow. And this is what I suspect in the programming of the DNA chip. So, if you frequently jump back and forth between the screens when using the screen, the Gosub stack eventually runs over and the "Error - Press Up" message appears. I am currently checking the screen-calls of my theme, if I can work without using "Gosub" and only work with "Goto" perhaps, because I think (but not completely sure) that the function, I described here responsible for the mistake. Because only with this, eliminating of this error is possible, as long as the programming of the DNA is not changed. 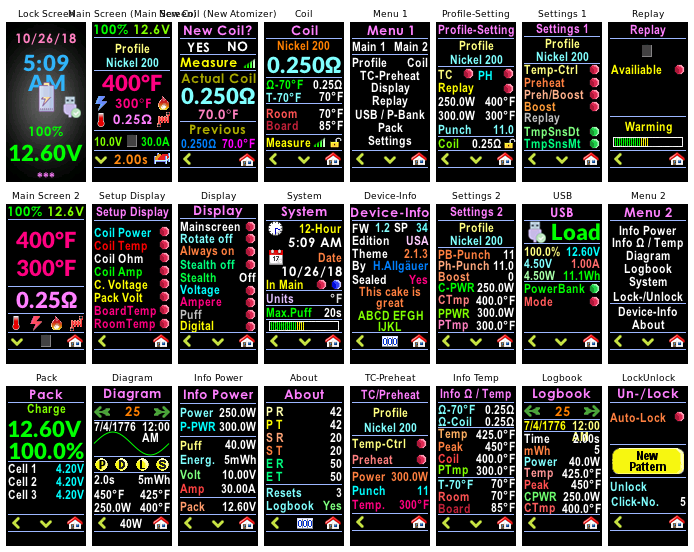 Maybe I have to do without a few call options of some screens from other screens. I hope I could explain this reasonably understandably. Please give me some time to do this, as this will require a slightly larger remodeling and testing of the new version of my theme. vielen Dank für die ausführlichen Informationen hierzu. Ich würde natürlich gerne weiterhin das tolle Theme verwenden. Ich habe auch die hier empfohlene Version SP38 ausprobiert, leider ist das Problem bei mir damit immer noch unverändert vorhanden. Ein Restore auf ein Default Theme lässt die Meldung leider auch nicht mehr verschwinden, sie erscheint trotzdem. Hat noch jemand eine Idee, wie ich komplett zurücksetzen kann und solange mit dem default theme und ohne Fehlermeldung arbeiten kann? oha - das ist mir neu, dass der Fehler auch bei anderen Themes auftritt. Dann kann eigentlich mein Theme doch nicht der Verursacher dieses Fehlers sein. Da ich auf allen meinen Geräten mein Theme installiert habe, kam ich gar nicht auf die Idee, dass der Fehler vielleicht doch an anderer Stelle zu suchen ist. In meinem Theme gibt es auf dem Screen "Geräte-Info" unten zwischen dem Button "Zurück" und "Mainscreen" einen Button für einen Device-Reset. Hast Du mit diesem Button schon versucht, den DNA-Chip zurück zu setzen? Vielleicht lässt sich hiermit der Fehler eliminieren. Ich bin gerade dabei, ein neues Theme - auf Grundlage dieses Themes - zu entwickeln. Und in diesem möchte ich ganz auf den Screen-Aufruf "Goto ChildScreen" verzichten. Gib mir bitte noch etwas Zeit für die Tests, dann lade ich den neuen Theme hier hoch und Du kannst testen, ob der Fehler mit dem neuen Theme immer noch auftritt - was dann bedeuten würde, dass meine Themes nicht die Ursache für die Fehlermeldung sein können. uh - that's new to me, that the error also occurs with other themes. In that case my theme can probably not be the cause of this error. Since I have installed my theme on all my devices, I did not even get the idea that the error might be in other themes as well. In my theme, there is a button on the screen "Device Info" below between the button "Back" and button "Mainscreen" for performing a device reset. Have you already tried with this button to reset the DNA chip? Maybe this will eliminate the error. I am currently developing a new theme based on this theme. And in this theme I would like to completely renounce any screen calls with "Goto ChildScreen". Please give me some more time for the tests, then I will upload the new Theme here and you can test this if the error still occurs in the new theme - which would mean that my themes can not be the cause of the error message. ist mir eben eingefallen - im EScribe-Programm befindet sich im Registerblatt "Allgemein" ein Button "Auf Werkseinstellungen zurücksetzen". Hast Du mit diesem Button schon versucht, Deinen DNA-Chip zurückzusetzen? Seltsamerweise tritt der "Menu Error - Press Up"-Fehler bei mir nicht auf allen Mods auf. Eigentlich nur auf zwei Mods, deren DNA-Chip bald darauf kaputt gegangen sind und dann von mir ausgetauscht werden mussten. Vielleicht liegt tatsächlich ein Fehler an einem Speicherfehler des Chips, der in der Folge zum Ausfall des Chips führt? https://forum.evolvapor.com/topic/70298-dna-75-c-error/ - hier hat das erneute Installieren der Firmware den Fehler beseitigt. Also scheint mein Theme tatsächlich nicht für den "Menu Error"-Fehler verantwortlich zu sein. Mein Boxer BF DNA75C, Rebel BF DNA75C haben das Problem bisher nicht. 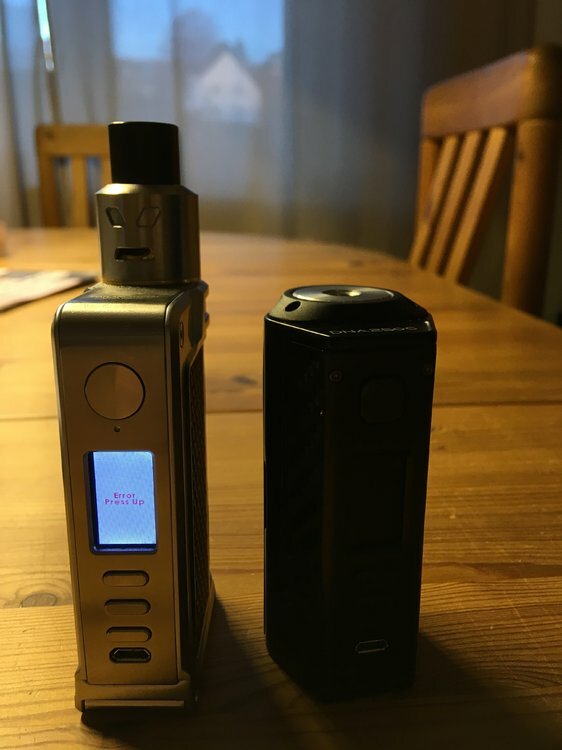 Nur einer meiner Therion BF 75C und mein Boxer BF DNA 250C hatten wie erwähnt, das Problem. Und an beiden verabschiedete sich nach kurzer Zeit der Chip. Also eine recht diffuse Situation. I just remembered - in the EScribe program is in the tab sheet "General" a button named "Reset to factory settings". Did you already try to reset your DNA chip with this button? Strangely enough, the "Menu Error - Press Up" error does not occur on all my mods. Actually only on two mods whose DNA chip broke down soon afterwards and then had to be replaced by me. Maybe there is actually an error in a memory error of the chip as reason, which leads in the episode to the failure of the chip? https://forum.evolvapor.com/topic/70298-dna-75-c-error/ - here the reinstallation of the firmware has fixed the error. So my theme does not seem to be responsible for the "Menu Error" error. My Boxer BF DNA75C, Rebel BF DNA75C have not had the problem yet. 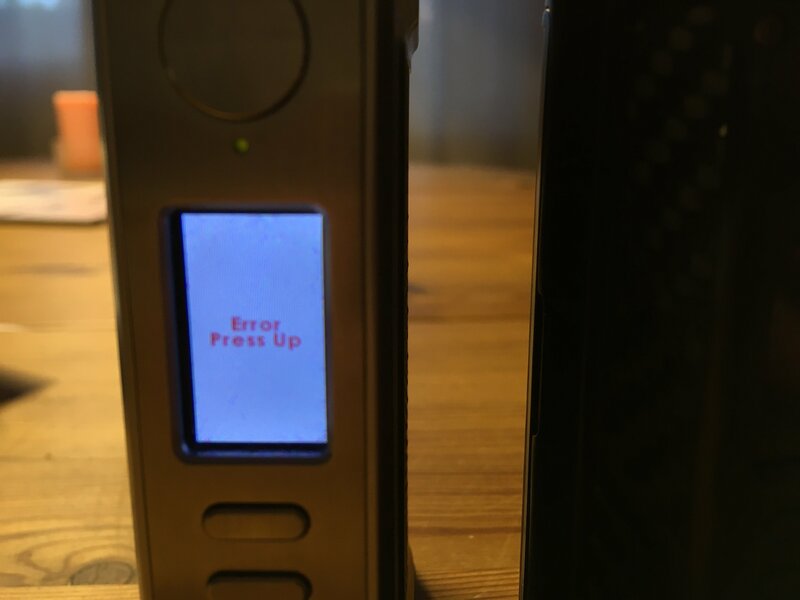 Only one of my Therion BF 75C and my Boxer BF DNA 250C had the problem as mentioned. And at both passed the chip after a short time. So it's a very diffuse situation in moment. ich habe eben die Nachfolgeversion dieses Themes hochgeladen (siebe unten). Wenn Du magst, kannst Du Dir diese - sobald die Prüfung dieses neuen Themes durch die Foren-Betreiber abgeschlossen ist, hier herunterladen und testen. Ich hoffe, dass der "Menu-Error"-Fehler mit dem neuen Theme nicht mehr auftritt. I have just uploaded the successor version of this theme (see below). If you like, you can download and test the new Theme as soon as the forum-owners have completed the security checks. I hope that the "Menu Error" error does not occur anymore with the new Theme.